Classic illustrations from the New Yorker cover artist ('one of the most masterful cartoonists of his generation' Village Voice). 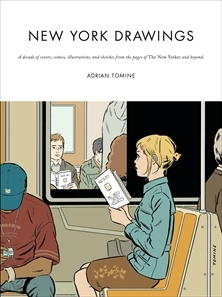 Born in Sacramento in 1974, Adrian Tomine is the author of the acclaimed series Optic Nerve, that has been running since 1991. His books include Shortcomings, which was awarded the Gold Medal at the 2008 IPPYS and was a 2007 New York Times Notable Book, Summer Blonde, Sleepwalk, and, most recently, Scenes From an Impending Marriage, all of which are published by Faber in the UK.